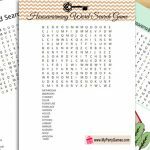 On this page I am sharing this free printable fun Trivia Quiz that you can play on your housewarming party. I have made this quiz in three different designs and I have also added an answer key on this page.In this quiz I have included 14 questions which are related to new home and construction features etc. 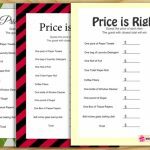 I hope that you’ll like these printables and will enjoy playing this game at your party. Print and distribute these trivia quiz worksheets among your housewarming party guests along with a pen. Ask them to choose the right answer to each trivia question from the 3 or 4 options given underneath the question. The person with most correct answers will be the winner. You can check the answers of your guests by looking at the answer key that I am sharing at the end of this page. Here is this free fun trivia quiz for your housewarming party. This game can be played by adult of any gender or any teen or tween who has general knowledge. This trivia quiz worksheet is decorated with grey and brown stripes. Just click on this thumbnail image and a bigger image will open up, you can right click and save that. This is another free printable worksheet that I have created for this trivia quiz. This printable game has the same 14 trivia questions but it has a different design. If you like this printable more, then simply click on the thumbnail image of the game and then right click and save the bigger image. This is the last printable image that I have created for this quiz. This image is decorated with golden polka dots. 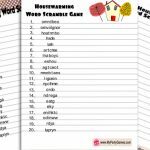 This is the answer key to this Free Printable Housewarming Trivia Quiz that I have made for you. Just click on this thumbnail image and you’ll see the printable answer key. You will only need one copy of this answer sheet. I have collected these trivia questions after doing great research and you are not allowed to add any image from this page to your website or blog. You are only allowed to print this game and play at your party to have some fun.